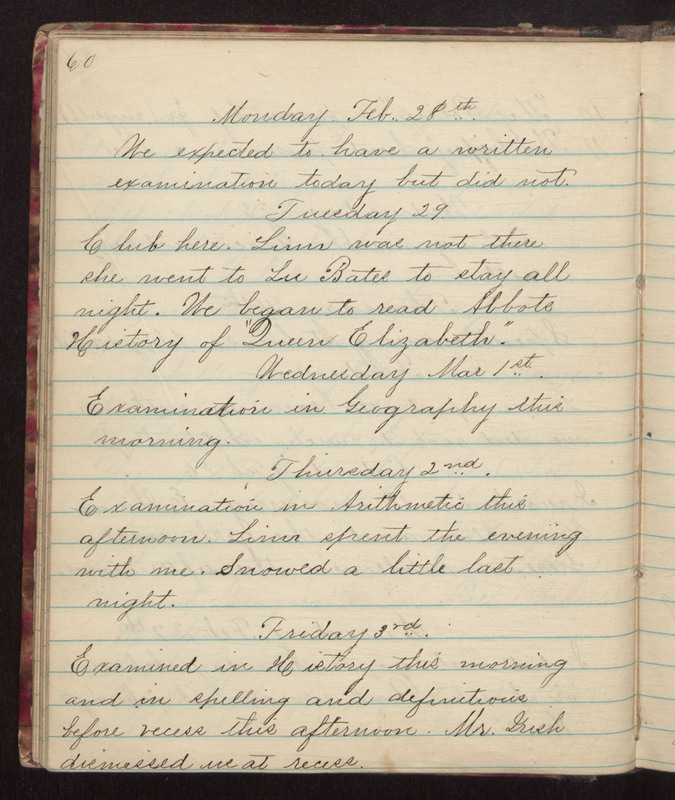 Monday Feb. 28th We expected to have a written examination today but did not. Tuesday 29. Club here. Linn was not there she went to Lu Bates to stay all night. We began to read Abbots History of "Queen Elizabeth." Wednesday Mar 1st. Examination in Geography this morning. Thursday 2nd. Examination in Arithmetic this afternoon. Linn spent the evening with me. Snowed a little last night. Friday 3rd. Examined in History this morning and in spelling and definitions before recess this afternoon. Mr. Irish dismissed us at recess.